I've been writing online for about ten years now, but I've always written for other folks. 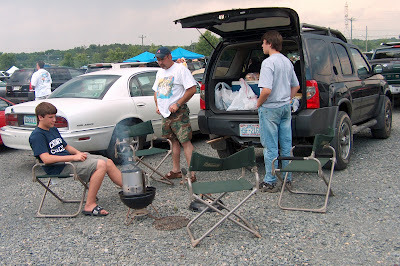 Well - finally I made the leap and started building my own web site - Yes You Can Grill. I must say that Dreamweaver is a bear to figure out, and I certainly don't have a lot of it figured out. I'm slowly but surely getting all the family barbecue secrets and grill recipes posted up. My site isn't so pretty (yet), but I know the information is excellent. If you want to grill and do it well, be sure to check out Yes! You Can Grill. Check back often too, because I'm adding as fast as I can. I found your information on your site to be some of the best I've read on a BBQ site. I have passed on the link to a few of my friends who have also agreed. I cant wait to see the site when you have added more images and layed it out more. Hi keenbbq - Thank you so much! I've hired a designer. I just had a bear of a time with Dreamweaver. The mock ups are looking wonderful. I think those will be ready this week or next. Then I can start getting all my content up. That was so nice of you to stop by and leave such a nice comment. I'll have to let you know when the professional pages are ready. They showcase the work much better. I can just hardly wait! Just wanted to say thanks for the site and the information, keep it up!